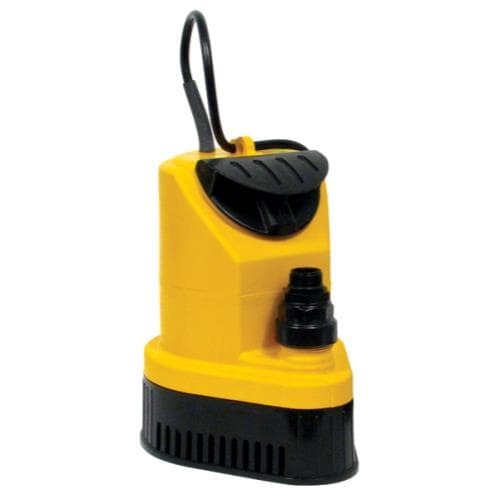 A heavy duty, oil-less (water cooled) multipurpose pump suitable for water control: basement/indoor flooding, plant watering, water recirculation and more! Outfitted with a 1/2 HP motor that can pump up to 1585 gallons per hour. Constructed with an ultra durable casing that stands up to tough conditions. Faceted with an extra long 20 ft grounded cord. Equipped with 2 hose fittings; a multi-sized hose fitting for industrial hoses and one for a garden hose.